John Gag decided to explore how to make a Mango plugin. As a result, he created a plugin called feedMe to show the latest items of an RSS feed as a pod. To use it, you need to specify the title, the feed URL and the number of items in the feed you'd like to show. When I first started this news section, I posted some entries about "Mango in the wild" to show off some nice sites that were using Mango. It was a great way to show nice themes that people were creating for Mango and to show other things such as websites that were using their own custom plugins, custom tags, or that for some reason, went off the norm. Then I created the Who uses Mango list, so I stopped updating this category. But some websites deserve the mention, so here it is again. Kurt Kland is an artist. And he expresses himself during boring weekly meetings at his job. Well, he doesn't say they are boring, but we all know how these meetings go. So he draws doodles in his notebook. He calls them "little sketches" and I just wish I could draw "little sketches" like that. I love how some even contain the "meeting notes". Please somebody, give Kurt a canvas and some paint! Regarding Mango, Kurt's website shows how a blog can be used for many purposes besides a typical post/archives/sidebar/links blog. It shows Mango's flexibility to adapt to many designs, as it does not impose a particular layout, content or feature to be used in the website. Mark has created a pod plugin to show your latest updates to Twitter in your blog sidebar. It has settings for styling and tweaking how many Twitter updates you want to show. Mark Aplet has created a plugin that allows you to add any text or HTML to your sidebar. 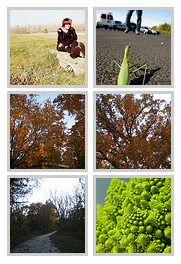 If you want to show a set of Flickr pictures in your blog sidebar, now you can with Mark Aplet's Flickr plugin. He has settings for your user id, tags, number of pictures to show and general styling. Highly recommended!